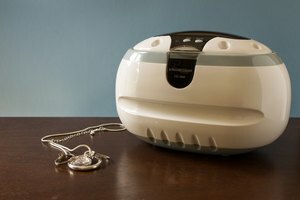 Isopropyl alcohol, aka rubbing alcohol, is a widely used as a disinfectant and cleaner for many household items, including jewelry. 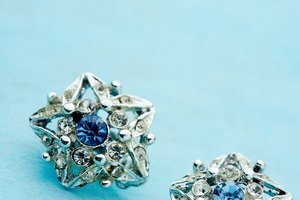 But, before you go wiping down all of your jewels, gems, and metals check out these tips to learn more about what jewelry's safe to clean with alcohol and how to clean it. Precious metals--all genuine golds and silvers--will not be damaged by alcohol. Regardless of the karat number or quality, as long as it's genuine metal, alcohol is safe to use. Platinum and silver-plated jewelry are also alcohol-safe, as are most stable metals, such as titanium, tungsten, and stainless steel. Jewelry made from acrylic and plastic (some body jewelry) should not be cleaned with alcohol. Contact with alcohol will cause the jewelry to discolor, crack, and develop small holes. This can be dangerous, as cracks and holes serve as bacterial breeding grounds. Isopropyl alcohol is a safe and effective cleaner for precious gemstones, like diamonds and rubies. These stones are considered "precious" because they are harder and more stable than semi-precious stones. Most semi-precious stones, such as amethyst and topaz, can also be treated with alcohol without causing damage. Gemstones like pearls and opals, however, have a shiny organic coating, which will corrode if cleansed with alcohol. To clean jewelry that contains gems, like pearl and opal, use a mixture of mild soap and water. 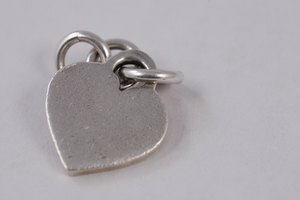 Use 91% isopropyl alcohol to clean alcohol-safe jewelry. Place the jewelry in a clean, non-porous bowl and fill it with alcohol until the jewelry is completely submerged. 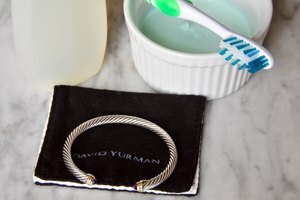 Use a cotton swab or soft cloth to remove some of the visible grime, and allow the jewelry to soak overnight. 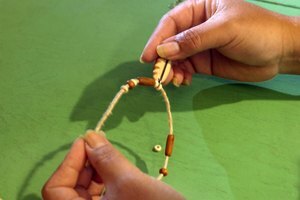 The following day, remove the jewelry from the solution and set it out to dry. After it's dry, polish each piece with a lint-free cloth. Tip: With soft metals, like silver or gold do not use a bristled brush, as this can scratch the jewelry. For hard metals, and gemstones with crevices or engravings, use a toothbrush and scrub gently . Angela Neal is a writer for various websites, specializing in published articles ranging from the categories of art and design to beauty and DIY fashion. Neal received her Associate of Arts in administrative assisting from Bohecker College.